I’m a professional author, editor, and writing coach, as well as the founder and owner of Panverse Publishing. My travel memoir, Aegean Dream, the bittersweet memoir of a year spent on the small Greek island of Skópelos (the real Mamma Mia! island), was a UK travel bestseller in 2012. 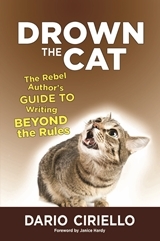 My most recent nonfiction project, Drown the Cat: the Rebel Author’s Guide to Writing Beyond the Rules, was published in 2017. My first novel, Sutherland’s Rules, a crime caper/thriller with a shimmer of the fantastic, was published in 2013. Free Verse and Other Stories, a collection of my short science fiction work, was released in 2014. My latest novel, a supernatural suspense thriller titled Black Easter, pits love against black magic and demonic possession on a remote, idyllic Greek island. I’m currently at work on a new thriller set in the late 21st century. In addition to writing, I offer professional editing, copyediting, and coaching services to authors at all stages of their career. You’ll know that, like most writers, I’ve lived several lives in one and enjoyed an eccentric career trajectory. 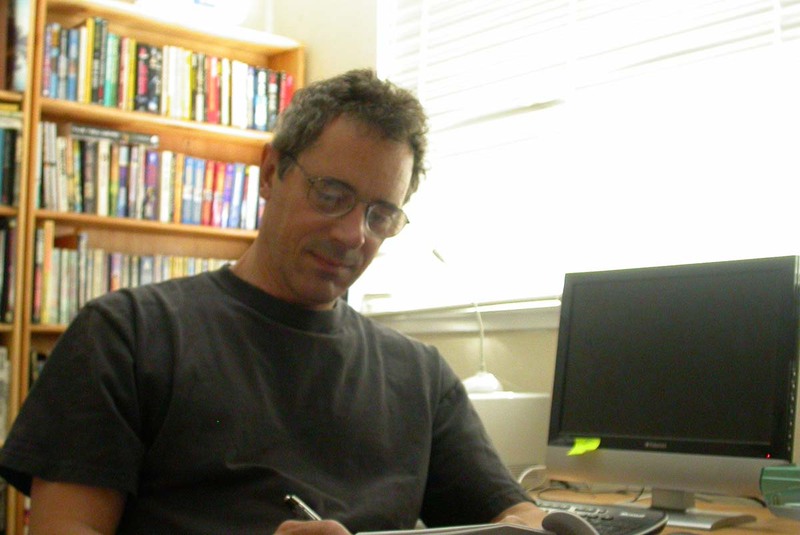 I’ve worked in a warehouse, driven delivery trucks, had a small import business, drag raced motorcycles, enjoyed a twenty-five year career as a decorative painter, and work as a fulltime writer, and editor. 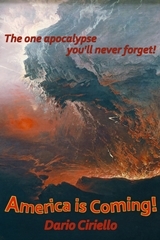 Through my indie press, Panverse Publishing, I’ve compiled, edited, and published three critically-acclaimed science fiction and fantasy anthologies (the ‘Panverse’ series). I was born in London, England, at exactly nine p.m. on a Tuesday. The gypsy screamed and threw up her hands in horror. There was a plague that year, and Farmer Tom’s cow gave birth to a three-headed calf. Comets blazed through the summer night. There were other portents too, which I am too modest to mention. Since 1989, I’ve lived in California, North Carolina, a tiny Greek island, and now live in the L.A. area with my brilliant and very patient wife. I love good food and wine. I like physical work. I need problems to solve and envelopes to push. I’m a very lazy person who’s too driven to indulge his sloth. I like people to have depth and complexity. I love the arts. I play guitar, poorly. I listen to late 50’s R&B, rockabilly and doo-wop, 50’s-60’s progressive jazz, the Russian classical composers, Portuguese fado, and a lot of other music besides. I enjoy hiking and wilderness backpacking; when the weather co-operates, my wife and I go wakeboarding with friends. We both love to travel. I abhor politics and the way polarized thinking, along with the stranglehold of the media and the legal establishment, is poisoning society. I’m a pragmatist who sees reality as too complex for simplistic solutions, and who considers issues on their own merits. I believe our species is probably doomed, and that given our collective inability to do better, we fully deserve to become extinct. Until then, I’d settle for a world free of television, sport and arachnids. I’m probably an agnostic of some kind, and certainly an aesthete. I believe we should encourage individual responsibility rather than reward whining. I’m generally good-natured and kind to both people and cats. I love my friends and hate my enemies. Dear Dario thank you very much for your fantastic Aegean Dream. I’ve just red it. Actually I was reading it (in polish) aloud for me and my wife on holidays for three days. We do love your way of living. You and your wife are really great couple. Making friends with so many people was so easy for you. Respect. Till the end of the book we believed you would succeed. We set our hearts on your success. We wanted you made your dreams come true. But unfortunately fighting with greek bureauocracy was doomed to failure from the start. It was also clear for us. What a pity. Why we people vote for politicians spoiling our dreams? It happens not only in Greece but also in many democratic countries. Why politicians in so many countries make only their dreams come true. There is some failure in our democracy or maybe in us – human beings. By the way we are in love with Crete I could even say we are absolutely crazy about Crete. We also think we could spend there our live although we visited it only three times. We can see a lot of abnormalities but we treat Create as a cradle of civilization and absolutely beautiful place to live. But it will remain only a dream. Dario thank you very much also for your honesty. We wish you and your Linda all the best. I enjoyed Aegean Dream – and have always loved Skopleos (I live on Paros now, but from SF, so bit of missed synchronicity there w/ us) but don’t think I could survive a winter there. Good to hear you’re working on another book set in Greece – as you know, this lovely country could use all the positive PR it can get! Thanks for commenting and for your kind words about my work. Best Regards, and every success with your writing workshops! Thanks for writing this book about Greece. I couldn’t put it down and enjoyed every word. I hope your book gets put on the NY Times best seller list so it sells tons of copies. I enjoyed your writing style and sense of humor. It takes so much time to write as well as you do and I wanted you to know how much I appreciated and enjoyed it! Sheila, thanks so very much 🙂 I’m so glad that you enjoyed Aegean Dream, and I really appreciate your very kind comments. Authors labour in a vacuum much of teh time, and it means a great deal when readers reach out to us. It was my aim to present an unvarnished, honest account of our experience during our year in Greece, and people seem to appreciate the honesty, especially as there are so many lighthearted travel memoirs saturating the genre–not that there’s anything wrong with that, but I think balance is sometimes needed. The book did quite well in the UK in 2012 (the summer after release), and is finally starting to pick up sales here in the US. 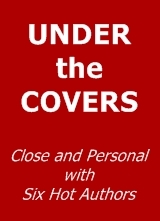 You may also be interested to know that I’m planning to release it as an audiobook in the coming months. Thanks once again for taking the time, and warmest regards! 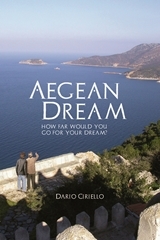 I am from Poland and I just have read your book Aegean Dream in polish. Great story but that’s a pity that you had to leave Greece. I love Greece too ! Good luck ! Damskie, thanks so much for your very kind words, and for taking the time to comment. I’m so glad you enjoyed my book! It really was a sad outcome; we still love Greece very much, and certainly left a piece of our hearts there. All the same, we are glad we took the chance and now, seven years later, we have rebuilt our lives and we have all the good memories. Thanks again, and warmest regards from California! Yes, the Murdoch’s of this world have a lot to answer for. 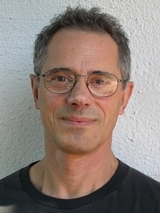 Walter, thanks for your comment, and welcome to my blog. Funny, isn’t it, that that’s still a burning question? One resource you might recommend is a site called agentquery.com. It’s fee-based ($25/yr when I used it) but provides a huge amount of data both general and agent-specific and some extremely useful filtering and tracking software. It’s certainly a tough assignment though, finding that first agent. LOL. The other thing I found back when I was looking is that agents who only take snail-mail queries are more likely to respond. I hope my posts here are of some use to them in evaluating their choice. My final post, next Wednesday, will also discussing emerging options beyond the binary choice so far discussed.